When you think about the works of Guiseppe Verdi, operas La traviata and Aida probably come to mind - but this lesser known of his creations is a masterstroke of melodies and chorus songs. 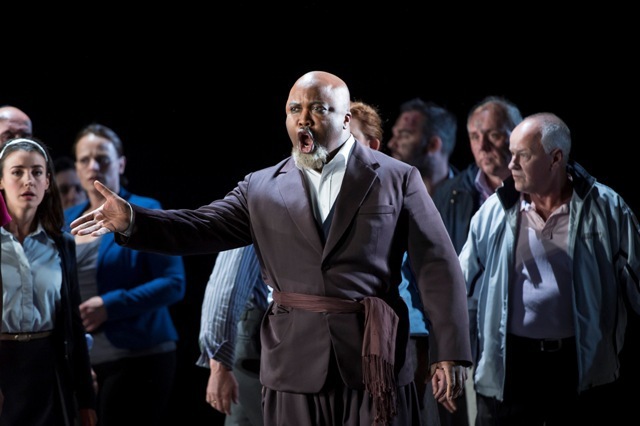 The Welsh National Opera(WNO) has brought a new production of Nabucco to stage as part of its Faith Season. I caught it at Birmingham Hippodrome, at the end of its tour of the UK, before the show heads to Finland. Also referred to as the Chorus of the Hebrew Slaves, the story revolves around Nabucco, the king of Babylon, who exiles Hebrews from the city. Declaring himself a god, he is struck with insanity, which gives his vengeful daughter Abigaille the chance to seize power. It is only when Nabucco professes his belief in the god of the Hebrews that he regains his sanity and the throne. 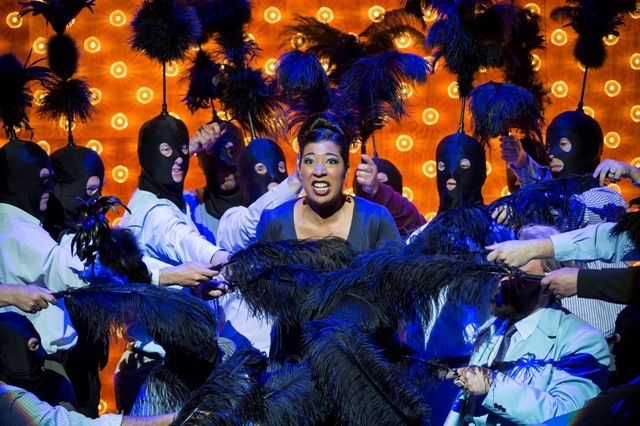 This clever, exciting production transfers the action into a modern setting. The king is a uniformed despot with gold chains, rock star long hair and a golden gun. His ruthlessness is no more apparent than when he pours a glass of water over the head of Hebrew Ismaele at a dinner party. Meanwhile, the king's palace has shimmering gold walls and his entrance is surrounded by sparkling confetti. However, it's the excellent Mary Elizabeth Williams as wicked daughter Abigaille who steals every scene. Her sweet vocals demand attention whether she is powering out about her lust for power or softly reminiscing on a time when she was a much kinder, more caring person. Yet despite its sombre subject, this entertaining show has been lightened with touches of humour. Abigaille sings about her plans to take over the city in true Marilyn Monroe style - in front of a wall of golden lights and joined by male dancers fanning her with feathers. The fact they are wearing balaclavas adds that zing of welcome black humour. It's not just Williams' performance that deserves a mention. 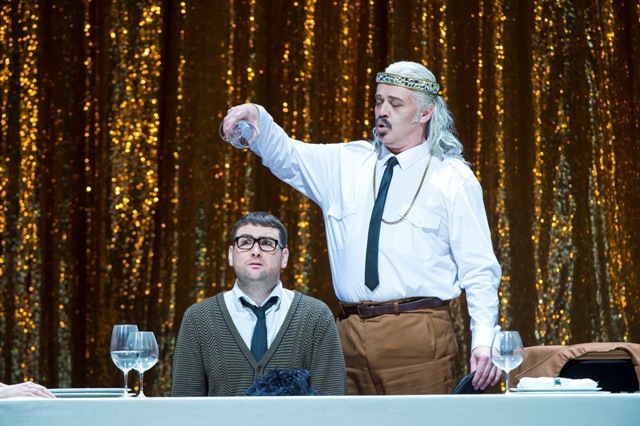 Kevin Short as Zaccaria and Robyn Lyn Evans as Ismaele both have memorable voices. The whole epic flies by over nearly 3 hours and the music and songs gently caress your ears. It's a Verdi classic that deserves more recognition. See the WNO website for ticket information.